How Can You Confirm the Existence of Self? How can you perceive it? The concept of Self in Hinduism is very different from that of other religions such as Jainism, Zoroastrianism, and Judeo-Christian religions. Buddhism does not recognize the existence of soul at all, but only a formation of beingness that gives the illusion of soul. In these religions each soul has materiality or subtle body and some individuality, which survives death. Hence, there is a lot of confusion about the Self or the Soul even among the learned people. The soul is a mystery. Unless you have direct experience, you do not know when you cease to be an individual and become your true Self. The self is the known unknown. Until it becomes your awakened state, you can only speculate about it. Even then you may not stay in it for long in your wakeful state since the world pulls you back and involves you with things and events. In Hinduism, the soul has no materiality whatsoever. It is without form and distinguishing features. Since you are never separate from it, and since it is an integral part of your consciousness, you cannot perceive it objectively as an entity by itself. You may experience it subjectively, as your very observing self in the depths of your consciousness. Ghosts, and evil spirits (pretas and pisachas) may have some materiality and darkened individuality, but normal individuals possess pure souls, even in bound state, which remain beyond their grasp. In the embodied state the materiality of the soul is a temporary formation. Its gross from is the body and subtle form the mind. Both perish at the time of death, leaving the soul in its pristine condition, with the residue of past karma and latent impressions which become attached to it. Since the soul has no materiality, how can we distinguish it? Is it possible to know it at all, except as a notion or an idea? The scripture do not provide clear answers, but suggest that to know it you must become it, and to become it you must discard everything that is not it. In other words, you must discard all grossness and remove all that stands in the way of your soul to manifest itself. In short you must become (established in) your true Self and accept no other identity. It is not at all an easy process. You have to peel off everything, which forms around you like an impurity to see the golden germ that is hidden in you. The Upanishads provide a few hints, as the following, about how your true Self is different from your physical self and how you may distinguish it and, if possible, know about it. Knowing your true Self is an arduous process, and it begins with the belief that your physical self is an obstacle to know it, and you must become detached from it. 1. The soul remains awake when the mind and body are asleep. It should end all speculation that your true Self is your physical self. What supports your mind and body is not your wakeful consciousness, nor your individuality or personality, but your true Self, which never rests and which remains awake when you are asleep. In sleep, you (physical self) relinquish all control. Temporarily, for that duration you become established in your true Self whereby your body becomes filled with prana and energized. That you are alive when you are fully asleep is a proof that there is more to your life and personality than what you may consciously experience. 2. Science tells you that you are alive because of your breath. The Upanishad states that you are alive not because of your upward breath or downward breath, but because of something that is other than them and superior to them. It is your true Self. How the seers came to this conclusion? Through intense sadhana (pranctice), they realized that they could arrest their breath (and even heart) for days but still remain alive. It was a conclusive proof that it was not because of breath they were alive, but because of their spirituality as refined souls. 3. Through spiritual practice it is possible to separate yourself from your consciousness and become a witness it. With practice, anyone can do it in deep meditation. They can observe their own mind and its numerous movements as if they are observing a passing phenomenon. In that the observer is the Self, and the observed is the being. When that being is completely silent, the witness alone remains with pure awareness, with no duality or division. Anyone who reaches this state is ripe for transcendental states of self-absorption. They may not be able to articulate their experiences unless they become adept in it, but they can transcend all identities, barriers, and all forms of individuality to feel oneness with everything. Their minds become more intuitive and hearts more empathetic, and they can easily read other people's minds, their thoughts and feelings. Since, they do not have egos, and since they become detached from all forms of materiality in them, like the space that can be part of any vessel, they can feel oneness with anything with which they choose to identify themselves. Your true self is immutable. However, since it is covered by many impurities its intelligence is not well reflected in your mind. Therefore, you do not know who you are. When those impurities are removed, it shines as before and you suddenly realize your essential nature and your true identity. As the Katha Upanishad declares, the Self cannot be known by the senses, but perceived by the subtle faculties of the mind, the heart, and the intellect, when they are pure and when they are all withdrawn and still. 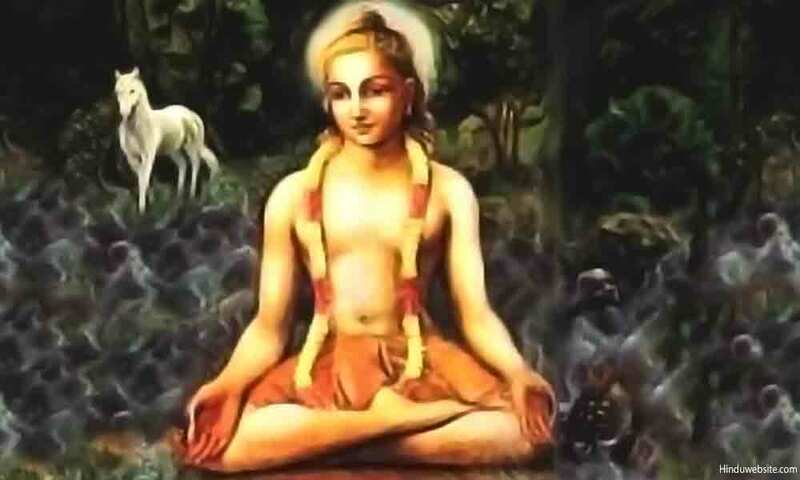 That state is known as the highest state (paramagati) or yoga. Even about this some Upanishads disagree and suggest that Self cannot be known by any of the faculties of the mind and body. You cannot know it by striving or planned effort. It must happen on its own. The Self must choose to become self-evident. In other words, self-realization is not a transformative event that you can control and manage. You must let go of the control to let it happen.